All Occitan stickers are here ! 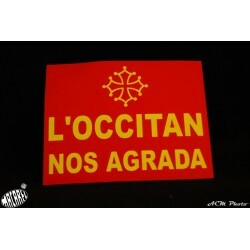 Sticker with the Occitan cross, OC sticker for car, funny slogan, or militant slogan. 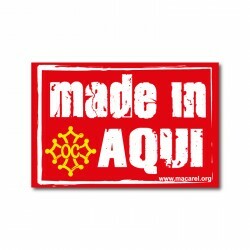 A wide range of self-adhesive to share his Occitan identity. 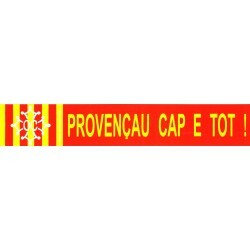 Sticker "Provençau Cap e Tot"
Sticker with message "Provençau Cap e Tot ! " 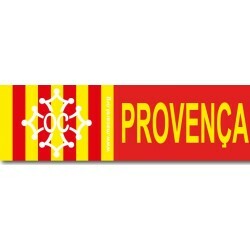 (Provençal from head to foot !) 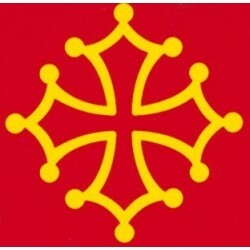 in occitan language with occitan cross and "Oc" word. 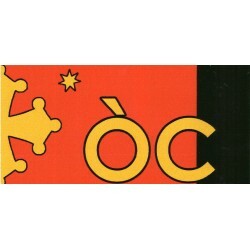 Sticker ÒC + cross and star (yellow on red and black background) - Chambra d'Òc. 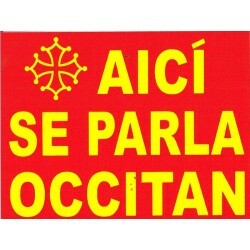 Sticker occitan cross + "ÒC" text for europe car license plates (sold individually). 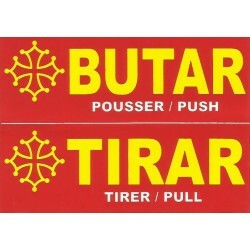 Sticker « Fai tirar ! » (Fais tirer ! En avant !) 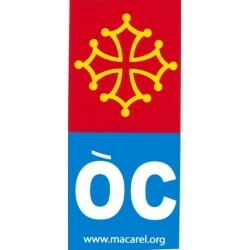 en occitan (graphie classique) avec la croix occitane et le mot "Oc". 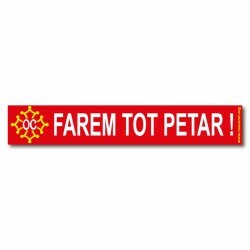 Sticker « Farem tot petar ! » (We will do everything fart) in occitan language with occitan cross and "Oc" text. 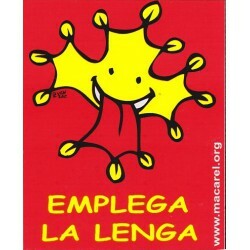 Sticker « Gardarem lo moral ! 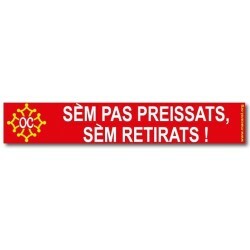 » (We will maintain morale) in occitan language with occitan cross and "Oc" text. Sticker « Lo solelh me fa cantar, e… » (The sun makes me sing, and...) in occitan language with occitan cross and "Oc" text. Sticker « Mèfi, romegaire ! » (Warning, grouch) in occitan language with occitan cross and "Oc" text. 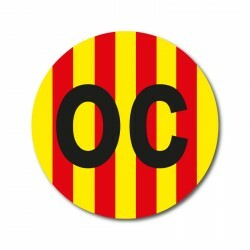 Sticker « Occitan cap e tot ! » (Occitan from head to toes !) 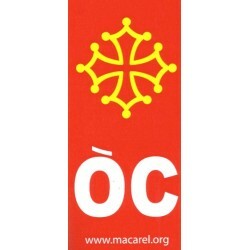 in occitan language with occitan cross and "Oc" text. 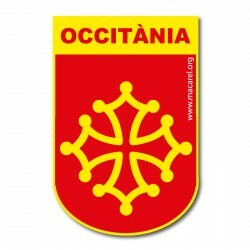 Sticker « Occitania » (Occitanie - Occitània) in occitan language with occitan cross (yellow on red background). Sticker « Qu tèn la clau de sa lengo tèn la clau de sa liberta » (Whoever holds the key of his tongue holds the key to his freedom) in occitan language with Provence flag. 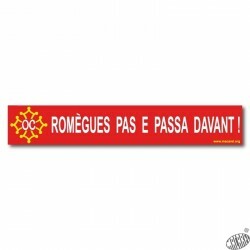 Sticker « Romègues pas e passa davant ! » (Do not moan and overtake) in occitan language with occitan cross and "Oc" text. Sticker « Ten-te fièr ! » (Stand proud: be worthy) in occitan language with occitan cross and "Oc" text. 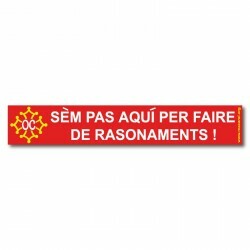 Sticker « Volèm viure al país ! 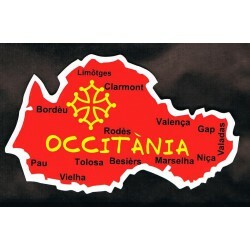 » (We want to live in the country) in occitan language with occitan cross and "Oc" text. 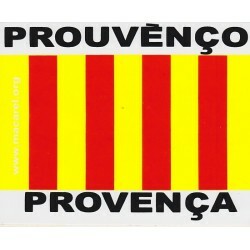 Sticker "Prouvènço – Provença" with Provence flag - Size 9.5 x 7.7 cm. 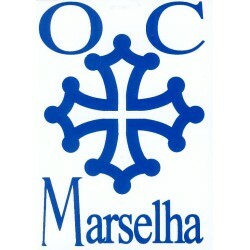 Stickers "OC Europe" blue for car number plates in European format (the pair).